There is a really good way to beat the winter blahs. 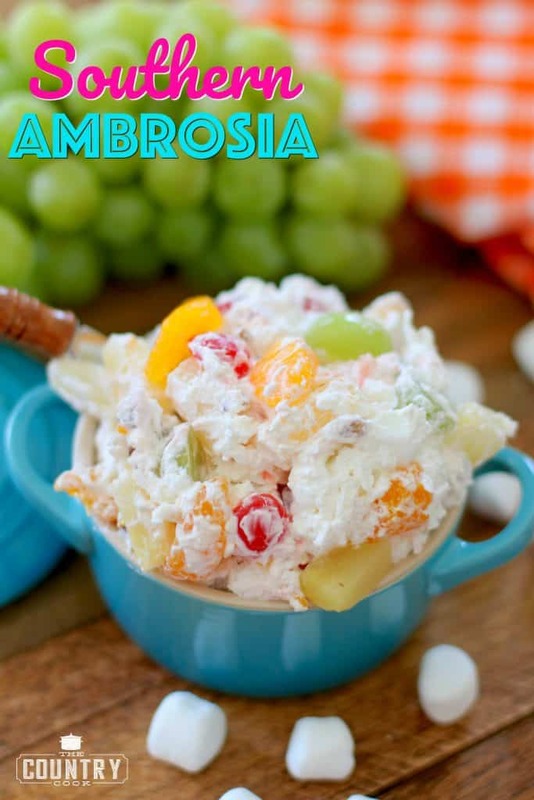 And it’s called…Ambrosia. 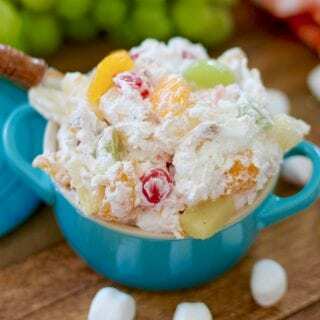 It’s a popular southern dish that makes it’s way to nearly every get-together (especially in the summertime because it is cool, refreshing and not a very heavy dessert). Basically it’s a fruit salad with sweetened coconut. Now I realize folks are on opposite sides of the fence when it comes to coconut, either you love it or you don’t. But the sweetened coconut is what makes this. It just isn’t Ambrosia without coconut. Have any of y’all seen “The Help”? That movie was fantastic. I give you fair warning though, it’ll have you crying in some parts and laughing hysterically in others. It caused a bit of controversy when it came out but I think the messages that were in it spoke to a lot of folks, including myself. Aibileen had it right. You is kind. You is smart. You is important. And we should repeat those words to ourselves everyday and to our kids. Anyhoo, this dessert was featured in that movie. Sissy Spacek’s character asks for some Ambrosia and then promptly falls asleep while eating eat. I just love Sissy Spacek. She lives near me here in Virginia. Well, not real close, I don’t hang out at her farm or anything, but she’s a transplanted Virginia gal. And Robert Duvall lives in the country not too far from her. Yep, we got us some movie stars in these here hills. As I was saying, this is a great wintertime treat too because it tastes like summer. And the bonus is that these are all ingredients you can get your hands on in the winter because most of them are canned. And you can throw in whatever fruits you prefer or have on hand. I like to cut the grapes and maraschino cherries in half. It makes everything bite-sized and easier to eat. But it’s totally optional if you are just trying to throw this together quickly. 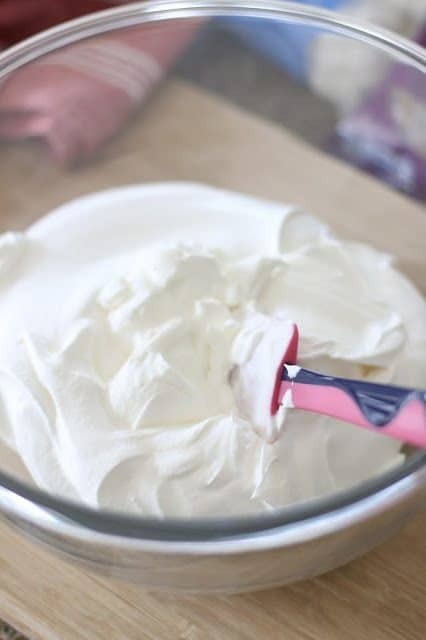 In a medium bowl, combine whipped topping and sour cream. 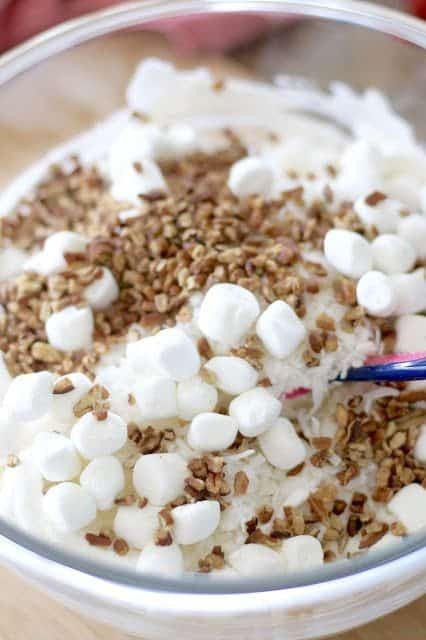 Add in coconut flakes and marshmallows and nuts (if using). 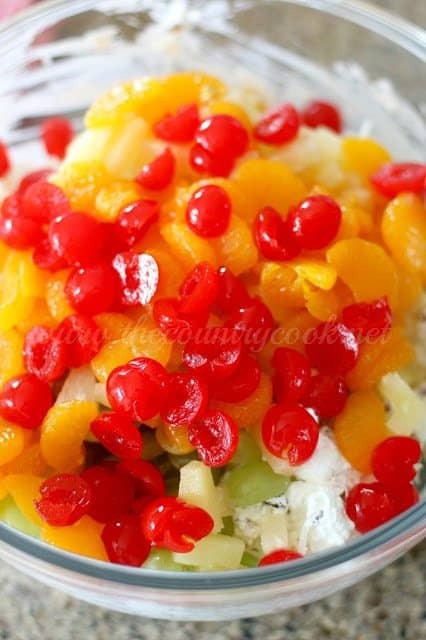 Then gently fold in pineapple, mandarin oranges, grapes and maraschino cherries. 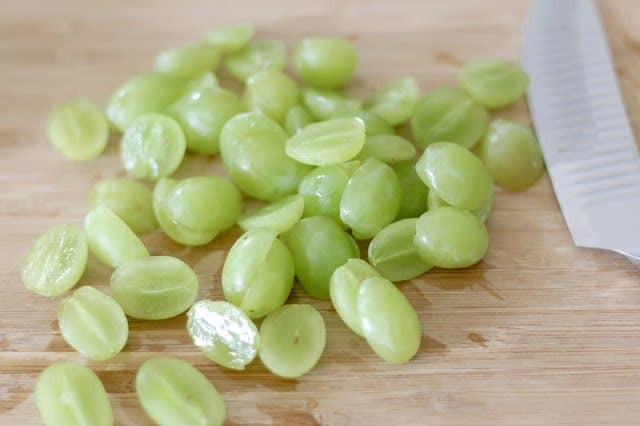 …and refrigerate for about an hour. 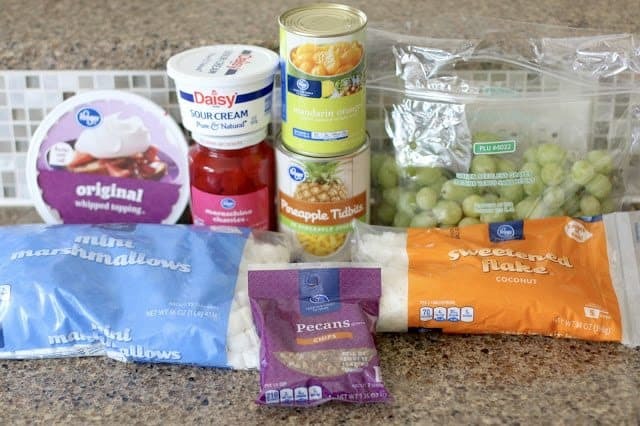 Cook’s Notes: You can easily switch out most of these ingredients for sugar-free options. Add in coconut flakes and marshmallows. Then gently fold in pineapple, mandarin oranges, grapes and maraschino cherries and nuts (if using). 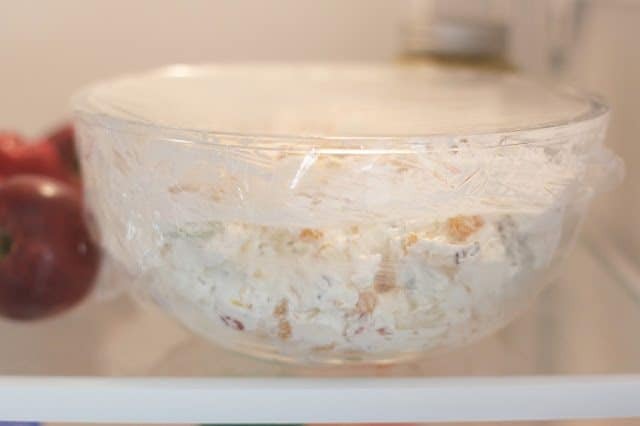 Once combined, put some plastic wrap on it or put it in a bowl with a lid and refrigerate for about an hour before serving. You can easily switch out most of these ingredients for sugar-free options. 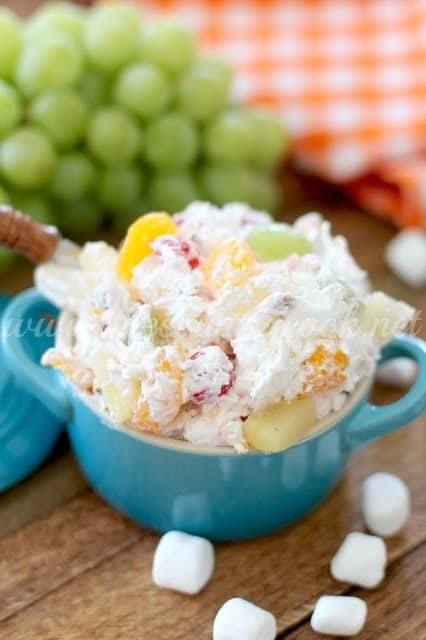 Been making this for years .. however , we call it overnight salad ., no coconut or nuts.. and instead of cool whip and sour cream I use 1/2 cup miracle whip folded into fresh whipped heavy whipping cream .. then fold fruit and marshmallows in and refrigerate overnight .. I made this without the nuts – it was delicious! Thanks so much Suzy! I appreciate you coming back to let me know! Instead of using sour cream i use 1 pkg. 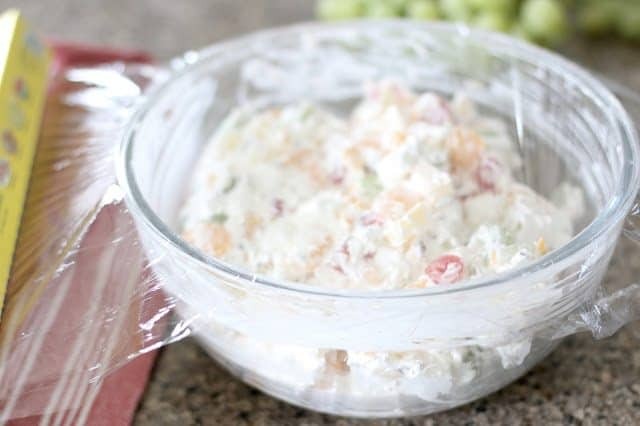 softened cream cheese. What do you think you could sub the coconut for? To help with the consistency, maybe a noodle? I made this minus the nuts and I used fresh pineapple and mandarin oranges. It was SO delicuous! Making this for Easter too. 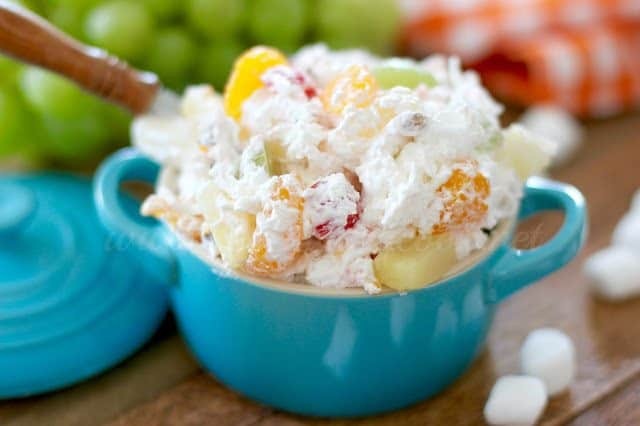 I use instant vanilla pudding, buttermilk instead of sour cream & a can of fruit cocktail in mine instead of grapes. Fresh strawberries & or banannas is tasty too..strawberry jello is also an alternative. It also gives it a pretty color. I use sugar blended with heavy whipping cream. 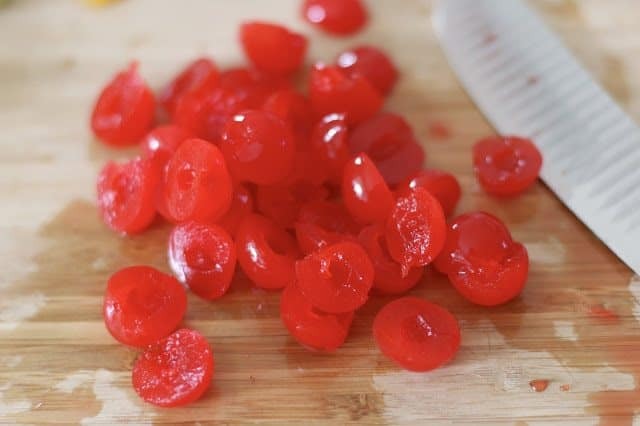 I prefer to only use mandarin oranges, pineapple, diced peaches, mini marshmallows, strawberries, and now that I saw maraschino cherries I’m gonna use those too! Sounds so good Meghan!! Love all the variations!